This recipe is a dish I made Telaine back on our second date however I have recreated it to be an LCHF legend. No wheat, grains or sugar here and loads of quality fats. Now that's what I call delicious health food. The three layers are so simple to create and add a great depth of flavour and amazing mouth feel. You'll need a 30cm (12 inch) fluted flan tin for this recipe. Layer One: The Crust Combine 1⅓ cups Almond Meal, ½ cup desiccated coconut, 1½ tablespoons Xylitol, 3 tablespoons coconut flour, ½ teaspoon baking powder, ½ teaspoon salt, ½ teaspoon vanilla extract and 125gm melted grassfed butter. Stir to combine and then press in an even layer across your flan dish. Bake in 180°C preheated oven for approx 10 mins or until lightly golden. Remove from oven and allow to cool. Layer Three: Pecan & Maple Caramel Dream Layer 130gm dry roasted pecans over the pie top. Next melt 125gm grassfed butter in a pan and allow to brown slightly (this helps enhance the nutty taste but be sure not to burn butter), add ¼ cup Xylitol and 2 teaspoons Maple Extract and stir to combine allowing Xylitol to melt. Remove from heat and add the smallest amount of Xanthan Gum (about 1/6 of a teaspoon). 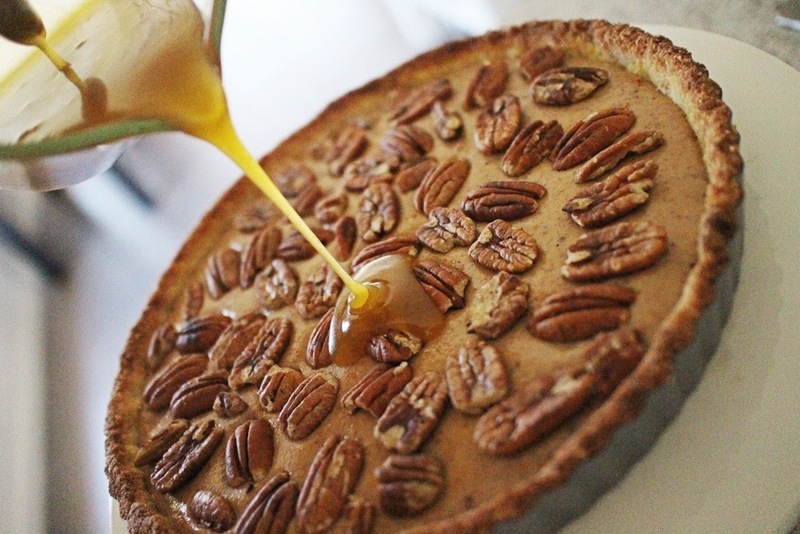 Stir vigorously for a minute then drizzle the luscious buttery caramel over your pie. NOW THE HARDEST PART... Place the pie into your refrigerator over night 😃 If you really want to a few hours will do but overnight is even better. Serve with a generous dollop of double cream. 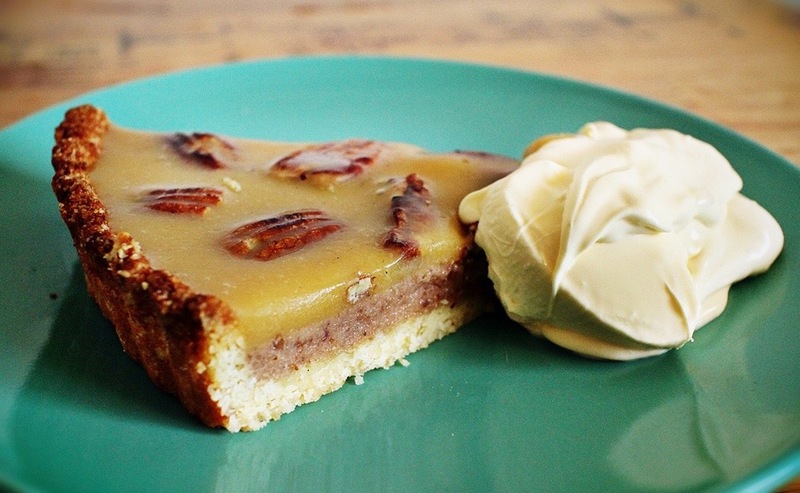 Telaine actually commented that this has been her favourite LCHF dessert so far and even went as far to say her favourite Pecan Pie (including non LCHF versions). Winning! If you do 'try this at home' please share a photo on the face book page.